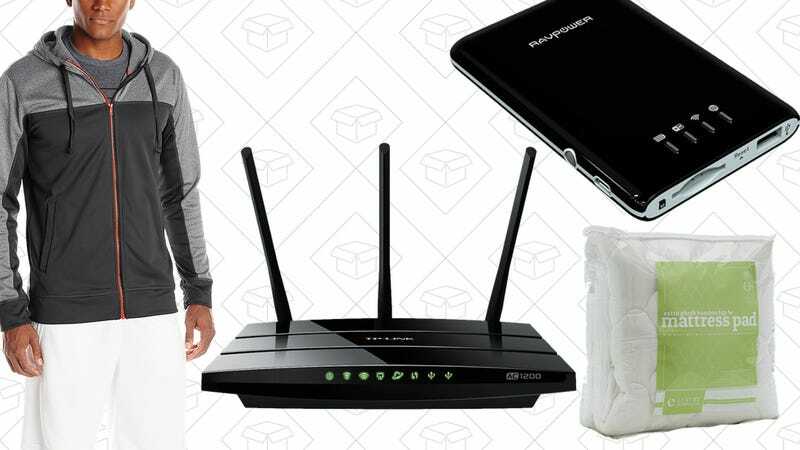 Running gear for the new year, a TP-Link wireless router, the 5-in-1 RAVPower Filehub, and more lead Sunday’s best deals. Today only, Amazon’s marking every size down by $20-$30. This is a Gold Box deal though, so don’t sleep on it. Doing the whole “new year, new me” thing? Maybe you should take advantage of Amazon’s one-day deal on running gear. Everything from cold weather clothing to wearables is marked down. But don’t delay, since this is a Gold Box, it’ll run away at the end of the day. If you’re in the market for a router that’s a million times better than the one the cable company doles out when you sign up for internet, this one may be your answer. 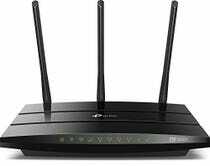 The TP-Link AC1200 boasts dual band 1200Mbps WiFi for all your gaming and internetting needs for only $60. All of a sudden, it’s 2017 and the Super Bowl is a few weeks away. If you don’t have cable, but are looking for a cheap and easy alternative to streaming the game, how about this $15 amplified antenna? If you’ve tried an unamplified HDTV antenna (like the standard Mohu Leaf), but can’t quite pull in every channel you want, this leaf-style model includes a USB-powered amp that should add a few miles of range. This one from Aukey is just $15, which is one of the best prices we’ve ever seen on an amplified antenna. 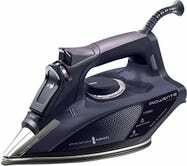 A good deal on a clothing iron probably isn’t the most exciting thing we’ve ever posted, but everyone should own one, and you could do a lot worse than this 4.4 star-rated Rowenta. 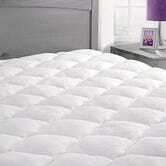 It’s been cheaper on a few occasions, but $65 is still a solid discount from its usual $80. 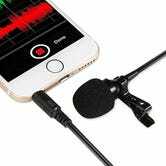 You probably won’t need this smartphone-compatible lapel mic very often, but at $8, it might be a good tool to have handy for shooting videos or recording voice memos on your phone. 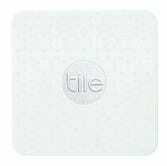 Tile is the ultimate device for anyone who can’t stop losing her things, and a single Tile is back down to its best price ever of $25. Today’s $25 deal on the Tile Slim is $5 less than usual, and a match for Black Friday if you missed out last month. If your Eneloop AA collection isn’t quite as big as it could be, you can supplement it with an 8-pack of AmazonBasics high capacity AAs for $16 today. That’s an all-time low price, and $3 less than the equivalent Eneloop pack. And if you believe some reviewers, these may actually be rebranded Eneloops themselves. 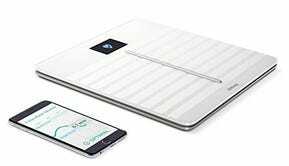 We can’t verify that claim (though like Eneloops, they were produced in Japan and pre-charged with solar energy, which seems really specific to be a coincidence), but whatever their origin, they have great reviews, and a stellar price tag. Right now, you can get RAVPower’s Filehub today for its best price ever (at least in black), which is actually two travel-friendly devices in one: A 3,000mAh USB battery pack, and a file streamer that can let you access files on USB flash drives and SD cards wirelessly from your phone or tablet. That’s perfect for, say, watching movies on a plane when your tablet is low on space. Is there such thing as too much extra storage? I don’t think so. Grab a WD My Passport 1TB portable hard drive for only $40. A wall charger with QuickCharge is something you should always have lying around (if your device is compatible). 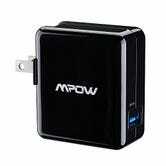 So for $5 with the code ITSVP356, it’s pretty stupid not to buy this Mpow charger. 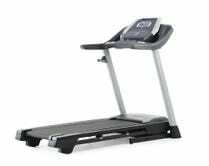 If you don’t have room for a full at-home gym, this folding treadmill is a great option. With ProShox cushioning to help your knees and iPod connectivity to make you hate running just a little less, it’s a great solution to hitting your resolution target of working out more. 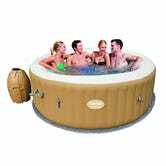 Inflatable hot tubs might look a little bit cheap, but for $300, I’m willing to forgive it. This model has great reviews, can accommodate 4-6 people (depending on how much you like them, I guess) and normally sells for around $400. Who doesn’t like saving money with their khakis (I bet Jake from Statefarm does). Dockers giving you an extra 50% off all sale styles with the code EXTRA50. Grab work pants, chinos, and maybe cross off working about what you’ll be wearing for the holidays next month, all in one shot. A lot of people are reflexively appalled by the idea of a bidet, which makes no sense, because they’re amazing. 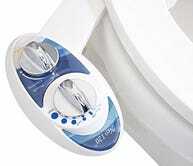 Today on Amazon, you can score a Luxe Bidet Neo 120 that will work with just about any toilet for just $32. That’s nothing for a product you’ll use just about every day, and it’s particularly good for a model with a self-cleaning and retracting nozzle, let alone one with over 4,000 reviews. This deal could sell out any time though, so purchase or get off the pot. 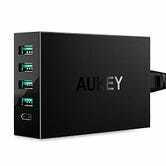 Back down to its lowest price ever, this handy $20 wall charger from Aukey not only features four USB ports, but has an added USB-C port as well. You’ll be able to charge all your devices at once without fiddling with any special adapters. No one likes to fiddle. Plus, it supports everyone’s favorite Quick Charge capability. PUMA has made some very strategic moves to stay relevant, but they also have managed to stay pretty true to what they’re known for. So when they launch their Semi-Annual Sale full of staple styles of clothing and sneakers, it’s a win-win. Up to 50% off stuff that isn’t weird and celebrity-backed? Count me in. The Bonavita BV1800 was your favorite coffee maker, and you can snag one with a stainless steel carafe for $121 today. It occasionally gets a little bit cheaper, but this is the best deal we’ve seen in over a month. We sell a lot of cold brew coffee makers (the Takeya being the most popular) but the coolgear BRU is something pretty different. 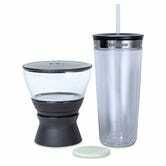 With its 21oz double wall tumbler fitted beneath the carafe, you can take your coffee with your immediately after it’s done brewing. And it’s on sale today for only $32. With this $12 Mpow Streambot Bluetooth receiver, you can turn everything from your dusty old iHome to your legacy home theater system into a Bluetooth speaker. 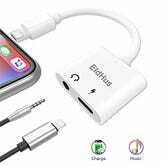 Just plug in the AUX jack, connect up to two devices, and start streaming. If you missed out on all of the Black Friday and Cyber Monday console discounts this year, it’s not too late to get a great deal on a PS4 Slim. Today on eBay, $249 gets you the Uncharted console bundle, plus free shipping and no tax for most places (sorry California and Georgia). We see our fair share of water-resistant Bluetooth speaker deals, but the Mpow Buckler has been one of our readers’ favorite models to date, probably thanks to its ingenious suction cup design that you can stick to your shower wall. It may say 30% off on the Levi’s site, but enter the code SALE40 at checkout, and you’re in for a treat. Levi’s ramped up their sale discount from 30% to 40% off all sale styles. And the great thing about the Levi’s store is that it isn’t just denim. I finally got my hands on a pair of the infamous Wedgie jean, and I love them (the Joshua Tree wash is on sale for $42). My most recent purchase was this really comfy sweater that I have worn at least three times in the past two weeks. If you didn’t get your denim fill during the Levi’s sale, maybe check out Uniqlo’s crazy-good deal on jeans. All women’s styles are $30 and all men’s are $40, including selvedge denim and HEATTECH jeans. Around these parts, it’s starting to get uncomfortably cold. So, if you haven’t stocked up on winter essentials, this one’s for you. Not only is Moosejaw marking down a bunch of The North Face stuff, use the code NACHO10 and get an additional 10% off. I have painful, yet fond memories of my college’s Athletic Trainer using one of these on my thigh after I suffered a strained quad. They are hell while using it, but heaven afterwards. And for $10 when you use the code Naipo604, this muscle roller can help further your love-hate relationship with working out.